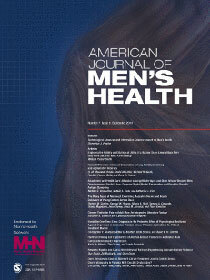 easy-to-read articles about male health concerns to videos and self-administered tests. 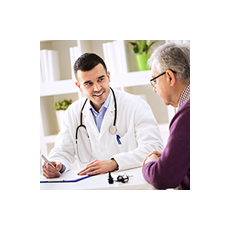 Men's Health Network recommends taking 10 minutes to go through the My Prostate Cancer Coach Risk Tool to better understand your prostate cancer and your risk level, so you and your doctor can make treatment decisions specific to your situation. Are you or a loved one newly diagnosed with prostate cancer? Empower yourself with the information you need to make the right treatment decision. is Men's Health Week. Learn more about this awareness period. Men's Health Network (MHN) is a national non-profit organization whose mission is to reach men, boys, and their families where they live, work, play, and pray with health awareness and disease prevention messages and tools, screening programs, educational materials, advocacy opportunities, and patient navigation. Because every man is different and every cancer is unique, it is important to find out the risk group for your individual cancer. 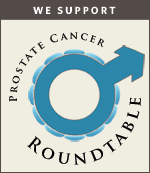 Are you or a loved one newly diagnosed with prostate cancer? Empower yourself with the information you need to make the right treatment decision. Being a caregiver isn’t always easy. Each day can throw new challenges your way. With that in mind we’ve designed this toolkit to provide insight, tips and tools for the male caregivers of patients with fibromyalgia. A new survey that we developed in partnership with Chattem, Inc., the U.S. consumer healthcare division of Sanofi, shows that 90% of men in the U.S. want to take charge of their own health. The survey results also indicate the significance of sexual health to men today, with nearly 1 in 3 men (30%) saying sexual health is one of the most important elements of their overall health and wellness. This survey was conducted online by Harris Poll and its results were shared in recognition of International Men's Day, which takes place on Saturday, November 19, 2016. An ongoing series of top-level discussions on the health and wellbeing of boys and men across the lifespan. The Dialogue on Men’s Health provides structure and coordination for efforts to find common ground and synergy among healthcare professionals, patient groups, community organizations, private corporations, and government agencies as they address the unique challenges that confront men, boys, and their families. Read the Framework for Advancing the Overall Health and Wellness of America’s Boys and Men here. Read A Vision for Wellness and Health Equity for American Indian and Alaska Native Boys and Men here. 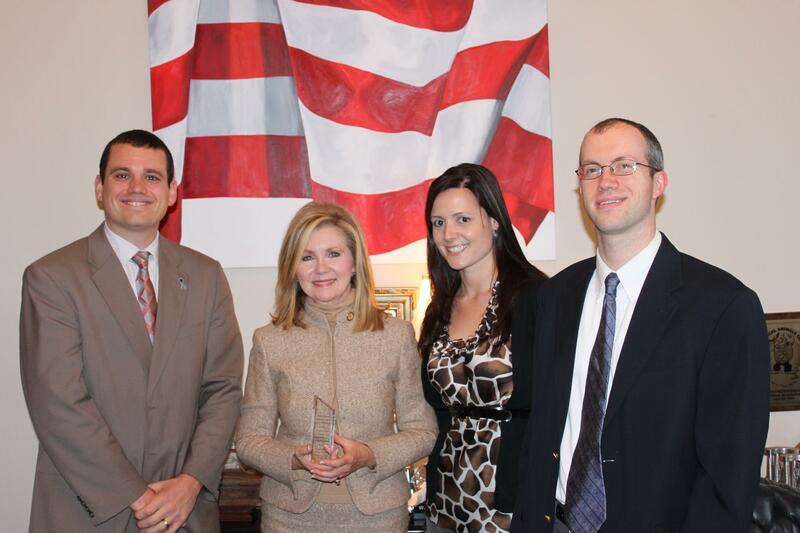 Congresswoman Marsha Blackburn's efforts in improving men's health have been recognized and honored with the “Outstanding Political Leadership in Men’s Health Award" by the American Public Health Association: Men's Health Caucus. WASHINGTON — Men’s Health Network (MHN) is partnering with a coalition of health organizations focused on raising awareness during Testicular Cancer Awareness Month this April. Together, the organizations are calling on greater awareness among men, healthcare providers, and communities about this rare form of cancer. Although testicular cancer accounts for about 1 percent of all male cancers, it is the most common form of cancer among men between 15 and 35 years old. It has one of the highest survival rates, if found early. That’s what makes prevention techniques and overall awareness critically important. This year alone, in the U.S., more than 9,000 men will be diagnosed with testicular cancer, according to the American Cancer Society. An estimated 400 deaths will occur this year due to the disease. This year, the group—which includes MHN, the Men’s Health Initiative, the Testicular Cancer Foundation, the Prevent Cancer Foundation, and the American Oncology Association, among others—will continue its call for awareness and also highlight the impact the disease has on the quality of life of patients, survivors, and their families. "One of the most powerful things a male can do for himself is to become aware of the issues that may threaten his health over his lifetime,” said Michael J. Rovito, PhD, founder and chairman of the Men’s Health Imitative. “It is critically important for all males, and specifically those most at risk for developing TCa (males aged 15-45), to learn how to detect the disease early through self-exams." The TesticularCancerAwarenessMonth.com website helps educate people about risk factors, warning signs, and treatment options for the disease. The site offers videos, a social media toolkit, downloadable brochures, research articles, and examples of awareness activities to turn a difficult-to-discuss problem into an interactive and easier-to-approach learning experience. During the month, MHN and its coalition partners will be offering interviews from patients and health experts. MHN will also hold a #BallChat Twitter Chat the week on April 24 to further promote testicular cancer awareness to a wider audience. Men's Health Network (MHN) is an international non-profit organization whose mission is to reach men, boys, and their families where they live, work, play, and pray with health awareness messages and tools, screening programs, educational materials, advocacy opportunities, and patient navigation. Learn more about MHN atwww.menshealthnetwork.org and follow them on Twitter @MensHlthNetwork and Facebook at www.facebook.com/menshealthnetwork. WASHINGTON — Men’s Health Network (MHN) applauds President Trump’s executive action to address the current service members and veterans mental health and suicide epidemic. On Tuesday, the President signed an executive order that, among other things, establishes a Veteran Wellness, Empowerment, and Suicide Prevention Task Force. More than 20 veterans and active-duty military commit suicide every day in the United States. They account for one-sixth of the more than 47,000 Americans who died by suicide in 2017. Veterans’ and military mental health and suicide was the recent topic of a congressional briefing held on Capitol Hill (https://www.youtube.com/watch?v=OiZlGdW8v48) by the Congressional Men’s Health Caucus and Men’s Health Network. U.S. Rep. Markwayne Mullin (R-OK) and U.S. Rep. Jason Crow (D-CO) spoke at the event. The executive order calls for the development of a comprehensive national public health roadmap, President’s Roadmap to Empower Veterans and End a National Tragedy of Suicide or PREVENTS, for preventing suicide among the nation’s veterans, with the goal of ending suicide once and for all. The order sets a one-year deadline for the Task Force to develop and submit a roadmap to President Trump to empower veterans to pursue an improved quality of life, prevent suicide, prioritize related research activities, and strengthen collaboration across the public and private sectors. “Men’s Health Network has a long history of supporting the physical and mental health needs of our veteran population. In this important endeavor our group will remain enthusiastic and committed contributors to this developing process,” said David Gremillion, MD, an MHN board member, and past president of the Society of Air Force Physicians. "Men, especially those who have served in the military, are often reluctant to ask for help," said Armin Brott (MrDad.com), an advisor to Men's Health Network and the author of "The Military Father: A Hands-on Guide for Deployed Dads.” “I believe that the President’s executive order will empower veterans to get the support they need. It will not only save lives, but will also spare families from the pain of losing a loved one." WASHINGTON — Men’s Health Network (MHN) is asking members of Congress to support President Trump’s call for nationwide family leave in comments he made during last night’s State of the Union address. MHN is hopeful that Congress will support inclusive legislation and policy that also recognizes the vital role that fathers play in the family structure. 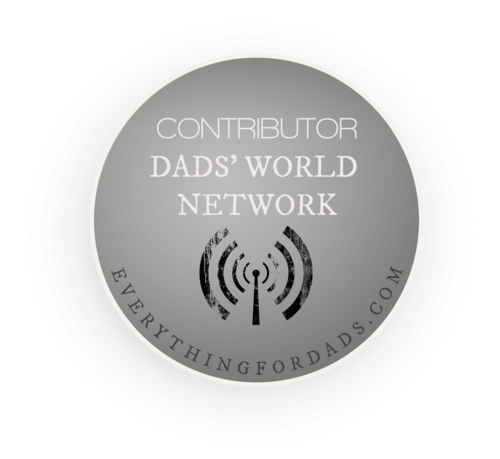 A father’s ability to bond with a newborn has a profound impact on the child’s life improving school performance, mental health outcomes, and reducing the likeliness of drug and alcohol abuse. President Trump has previously called for six weeks of paid family. The U.S. remains one of the few developed countries without a national family leave policy. Planning an Event? Utilize our MHN HealthZone toolkit to plan a men’s health event today. Need a check-up? MHN provides a Get It Checked maintenance schedule for men and women. Of all the things in the fields of both public health and healthcare that pique my interest and attention most, it’s health disparities, specifically the numbers 5 and 7. In a country as productive and innovative as ours, it’s a particularly vexing reality check whenever I’m faced with those two numbers, which I’ve listed below along with their respective contexts. Are UTIs getting harder to treat? Over prescription of antibiotics for infections has been a continuous issue in the healthcare community, even after the CDC declared antibiotic resistance as a serious health threat in the last few years. Researchers have called for a further intervention to stop unnecessary use of antibiotics, who are not likely to benefit from taking them. Treating these cases with antibiotics increases the prevalence of antibiotic-resistant bacteria, a growing global health concern. After looking in the mirror and I saw, for the thousandth time, the stealthy retreat of my hairline and the patch of thinning hair that spoke this message to me: You are getting older, J. For years, I noticed the gradual change in my hairline with a bit of dread. National Conference On Hispanic Health, organized by the National Hispanic Medical Association will near, Washington, D.C. The conference will focus on inter-professional training of physicians, nurses, and health teams and cover areas like diabetes, cancer, obesity, cardiovascular disease, Alzheimer's disease, HIV/AIDS, pain management, Zika virus, as well as health professions education, diversity and cultural competence and faculty development, research about Hispanic health and health reform - ACA and medical practice reform. You are invited to join hundreds of your colleagues in Denver, Colorado to participate in a conference of people interested in suicide prevention, intervention, postvention, and research. This unique event is specifically designed to meet the diverse interests and needs of attendees while creating a powerful opportunity for networking, learning, and moving the field of suicidology forward. Join urologists around the globe at the 2019 AUA Annual Meeting in Chicago. The Annual Meeting, in its 114th year, is the largest gathering of urologists in the world, providing unparalleled access to groundbreaking research, new guidelines and the latest advances in urologic medicine. With all the AUA has to offer, it's no wonder Annual Meeting attendees repeatedly report that the knowledge they take from the meeting positively impacts their practices.